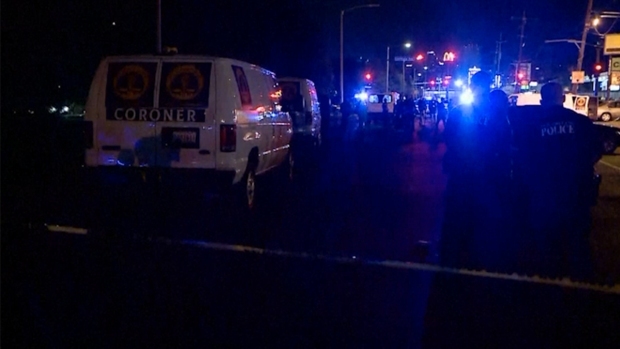 Police respond to a shooting in New Orleans Saturday night that left three people dead and seven injured. New Orleans police say a shooting that killed two men and a woman seems gang-related, and the reward for help identifying the gunmen is up to $25,000. 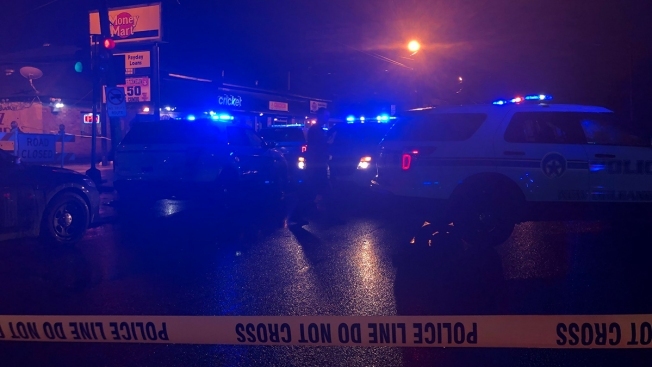 The Orleans Parish Coroner's Office identified the dead Monday as 28-year-old Jeremiah Lee, 38-year-old Kurshaw Jackson and 27-year-old Taiesha Watkins. Seven other people were wounded. All are expected to live, Chief Michael Harrison said Monday. He said Lee apparently was the intended target. Watkins was visiting from Houston, news outlets reported. Two gunmen killed three people and injured seven others in New Orleans Saturday evening, police said. The suspects are on the loose after fleeing the scene. Video from a nearby restaurant showed a man running from attackers and into a crowd, the restaurant's owner, Skipper Nicholas, told The New Orleans Advocate. Harrison said two hooded, possibly masked and gloved suspects walked up firing handguns and a rifle, then stood over Lee and shot him many times before running. He said police know people in the large crowd heard or saw something that could identify the killers. "These thug criminals that opened fire into a crowd don't care about the welfare of those people in the crowd, and we shouldn't be concerned about them," Harrison said. Police have gotten good tips but need more help, Crimestoppers GNO CEO Darlene Cusanza said. Tips can be anonymous, she stressed: "No fear. No retaliation. Just make the call and let's make this stop."